The world is a big place to do business with. While you could choose to stick in your comfort zone—typically, your native place—and go through the same things year after year in business, it often connotes limited growth compared to those who took the risk of venturing overseas. Yet, while it may sound so easy to make a leap into the global business stage, it does not necessarily always imply success to those who braved the idea. Like how building a startup and its eventual growth has its own sets of challenges and obstacles along the way, expanding to cater for the wider international clients is not without its conundrums for every business. However, those who do venture on the bigger picture and overcame are surely to find growth to their business which is otherwise restricted in their original, local scope. How does your product or service fare with the targeted culture? While there are kinds of products or services that are universally-embraced by people across culture, there are also the sensitive areas which you need to consider for your business to thrive. For instance, if you are thinking of running a fast food chain in a mostly Hindu community area, ought to know what the people of this faith would consider as offensive and what is allowed, particularly with the kind of meat you’re serving. In another example, in a country like Bolivia where eating home-cooked meals takes center stage in many of its inhabitants, a fast food chain is bound for a very small market and may not be feasible for business. Knowing, therefore, not just the demand for a particular product or service but also the culture inherent to the place is essential. How familiar is your target market with your product or service? You may be offering a kind of product or service that is still fresh from consumer consciousness or one that is familiar yet something very new. But, whether known or not, part of the branding process would entail you investing lots of time and money in educating your target consumers about what you have to offer. Are you comfortable operating your business in this new environment? Unless you are comfortable that someone else will handle the early operations of your business in a new territory, the chance is good that you yourself should be the one doing the work from the start. But to conduct your business effectively, you must first learn about the culture and even have a knowledge of the language at the functional level. When doing a business, the quality of the infrastructure is always important, regardless of the trade. With the Western culture being the international standard for most of the time, you may want to ask yourself whether you can get Western-style accommodation and support as needed. Furthermore, consider the quality of the roads. Are they cemented or are they still paved on soil? What about the supplies needed for your business? Is there a guarantee for it? Now, not all places that are a hotspot for something are good for business. Sometimes, there are just those places where your business will not fly. But do not blame yourself for coming across such a bad experience in enterprise. Other times, you have just chosen the wrong place. Going global with a business may open lots of opportunities you would not find by sticking to local, but perks such as of this nature do not necessarily come easy. 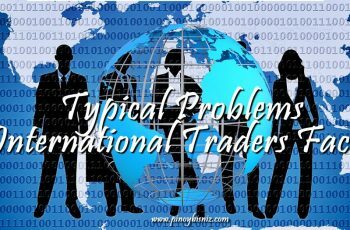 Whether it is finding more than too many opportunities than you can handle or getting afflicted by the fluctuating currencies, the world of international business can be dizzying and not something a domestic-only business could see. But while having the courage to choose to grow may be a wise choice if you’re serious about making a large leap in business, only those who do overcome the obstacles do attain its wanted benefits. Many had attempted to reach for the wider world in business but failed. However, it should not imply you following the same route. People may assume that big businesses are well-versed in making well-laid out strategies that maintain their position in their chosen industry, however many of these companies failed as well due to lack of strategy. One common mistake that business people made is to think that they are ready to market their product everywhere. This usually happens when they get so many queries from various countries. People should understand their capacity and their readiness to respond to any open doors especially on countries which they knew a little. Sales and marketing initiatives must be tailored fit to different countries. One should understand the cultural differences which have a great influence on the marketplace. The same issue must be considered when it comes to packaging, shipping, terms of payments and other fine prints requirements. Thanks for sharing such a great informative post it really helpful and amazing so keep it up and all the best. Filipino culture are often affiliated with Spanish and American and mixed with other Asian beliefs. Best thing that a Filipino could do to win in the global market is to promote the uniqueness of the culture and infuse it on their product or services. One thing that most foreigners notice in most Filipinos are their hospitality and friendliness. As businessmen, having good relations towards business partners and potential business partners are a good start to win in the fast-paced global market. Also, Filipinos are known to be good English speakers and we all know that English has been the universal language. 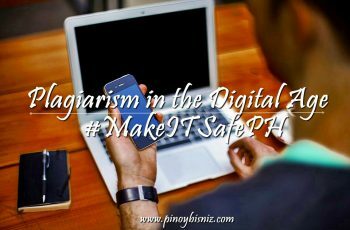 With regards to this, Filipinos are competent enough to communicate well in terms of language because we can deliver communication and information well. But where do Filipino really lag behind? I strongly affirm that Filipino exporters should stay relevant in innovation because technology is really fast changing and demands of the people globally are also changing. As these changes continue to grow, the capacity to change should remain to be able to compete in the market. 3. What do you think are the best things that Filipino exporters should do to win in the Global Market? What are the factors that need to be highlighted? –	As globalization grows, more companies are venturing business in other countries. In Global business have a lot of opportunity at the same time is risky. Expanding business globally, start with a clear plan to provide consumers with better products and services and need to maintain the market of competitive price. Most of the countries have a tariff or fee that is charged to companies bringing goods. Be aware of these tariffs so you can incorporate the financial planning of a globalization plan. Regarding the Rules and regulation of different countries, be attentive in every transaction you made. Build a good relationship with your customers, because Filipino has a good quality service and we are very hospitable. Implement transparency to your customers, according to (KEES KAMIES) “Give trust, and you’ll get it double in return”. It should be a start of a long relationship between the company and customers. Filipino businesses who are planning to enter into global market to expand their customer base should improve market access and make all the products and services be of top quality. The factor that needs to be highlighted is the government assistance and protection by signing on a Free Trade Agreement that will lessen the customs duties and policies. Develop a solution that would help Filipino exporters simplify their shipment processes and reduce the cost of multiple shipments that could helps businesses to save both time and money. 3. What do you think are the best things that Filipino exporters should do to win in the Global Market? What are the factors that need to be highlighted? Filipino exporters should consider that global market is very competitive. We should have proper planning in terms of what industry are we going to engaged into, our product or services, our business location, our target market and the feasibility of business as a whole. We need to decide if our products or services should b a good quality. It would also be a good idea if we know the population of our target business location. We should consider if our business location is strategic for our targeted market. Is it accessible? What would be the productive timing for operations? Of course, it is but very important that peace and order situation should be considered. Modern technologies are also very important aspects to consider and need to cope up to compete globally. Competing globally is not an easy journey for us given the amount of resources that we have and the kind of politics existing in our country right now. In my own opinion, we can survive this competitive world for as long as we maintain having the right attitude. Positive attitude towards our dreams in life could be one of the factors that could move our business globally. We should believe in ourselves that we can do it. We should strive harder, improve more and grow bigger and reminding us to keep our feet on the ground. In addition we should be more persistent and innovative which I think we Filipinos are doing now a days. Try to explore and research new trends in business economy. Go out from your comfort zone and innovate your product or services into the next level. And while we keeping an eye with our competitors, it is best to always remind ourselves that the biggest competition we have is nothing but our own selves. At the end of the day it is not the one that on the top that matter most but the one that survived. As you can see, exporters must know the cultures of certain countries. Filipino exporters should know the culture of other countries in order to build business from there. It will be very easy to invest or to do business in a certain country ones you know the culture of the people living there. Even if the products are good but you don’t research about the country’s likes and dislikes, pros and cons, etc., your products to sell there will fail. Keep in mind, always do research about the country and at the same time, do business plan. By knowing the culture of a certain country is one way of connecting to them seriously. It shows how persevere you are in terms of building a business. That is a good thing for the most part. Moreover, they must have a sense of budget of their money for it will help on having good management and good trade. Filipinos have proven itself many times in the Global Arena. Not to mention, Bench, Penshoppe, Tanduay, Jollibee and San Miguel , “tatak-noypi products” undeniably possess an extraordinary appeal to the global market. What then will our aspiring local exporters do to win the global market as well? The formula is simple. As evident with our successful Filipino producers, it’s a matter of feasting their eyes, filling their hearts, and feeding their souls. How is it done? Feast their eyes by means of allowing consumers to see the beauty and attitude of Filipinos through varying forms, colors and textures of products. Second, Fill their hearts by informing them of your two-way advocacy, one is to promote Filipino products, and the other is to give back to the communities in need. Lastly, feed their souls, by means of showcasing our heritage, history, and stories of Filipino. Yes! Its simply taking pride with the authenticity of our materials which can assure durability and originality. Our country has so much to offer, and its about time, to show the world that those expensive bags our Hollywood actresses proudly wear? Are actually “Made in the Philippines”. (Or if made in other countries, surely its materials are sourced from our country). See? The Filipino brand truly has its own identity that has recall and more appeal to the consumers. Truly, its about time. The best thing that Filipino exporters should consider and realize before venturing into international trade is the need of a great strategy. Having a good set of planning will never go out of style. The strategy or the plan should include the identification of the the target market and the target country to export the product. An exporter should have a definite market and country to make sure that you can consider the availability of your resources and products. Another thing to consider the the kind of product you ought to export or to cater internationally, it should well ft with the target country and should be quality wise. Global market always consider quality over than that of quantity so a filipino exporter needs to put into consideration that a product should qualify with the customers satisfaction. And lastly in order to compete globally is the idea of patience and being innovative enough to pursue whatever goal you have set. many are called to compete globally but with the balance of patience, perseverance and goodwill an exporter will never go wrong. Now came the factors that an exporter should put into mind that there are fortuitous event that might happen, especially that our country is a typhoon visited area. Infrastructure should be well developed in order to provide smooth transportation of goods with the support of both the local and national government. As an exporter, it always best to study the your market and where to get your local resources because that is where will you become productive and less costly. Study your market such as identifying what are the trends, culture, norms and other beliefs that people does in the area to identify what products to offer and how to develop them and make it unique. Mentioned also earlier, you study also where you get your local resources due to the fact that it is best and less costly if you get most of your resources from the host country and to also know what could be the alternatives. 1. Studying the market and think of a detailed plan. To be able to adapt to their business practices and their ways of doing business, Filipino exporters should study the prospected market and see what will sell and what will not depending on the location and condition of the country where you are sending your products. 2. Starting with 1 country at a time. Do it one step at a time. Quality will be achieved once you have focus on one place for a start. You will have more free time to discover things and ideas will come up that you can do in another country that you want to do business with since the ways on how they do business varies from country to country. It will be easier to solve problems when the need arises making the targeted customers to be happy with the services and products you provided them. 3. Being prepared to carry out shipments quickly. Be sure to ship the products on time. Know and calculate the shipping costs and expenses during shipment periods. Check the availability of international shipment and how does it work. Communicate and have a clear shipping detail and make sure to always have shipping insurance to secure your products. This will create a sense of respect and trust from the people whom you are having business with. 4. Develop your business to sustain international success. Pick one product first to take overseas. This will give you time to establish the name of the product and calling the product in the country’s native language will increase the possibility that they will try your product. Keep in mind as well to be aware of the country’s religious beliefs and culture because this will greatly be affected by this factor. Filipino Exporters played a vital role in the economic boost of the Philippines. We salute you guys. According to the source, Filipino exporters should take advantage of the Philippines winning potential market in the global economy. Came across with the readings, DTI Secretary Ramon Lopez urged exporters to avail the benefit of Free Trade Arrangements (FTA) which the Philippines is a member also of the Asean FTA with China, Japan, Korea, India, Australia and New Zealand. It was also noted that Philippines has a bilateral agreement with Japan and recently Philippines signed the European Free Trade Association (EFTA) and been awarded with Generalized Scheme of Preferences (GSPs). With the above mentioned mechanism – these will provide market access for the Filipino Exporters’ goods and services to have a zero tariffs. Also it is noted that Filipino exporters has to reposition themselves in the market by doing relevant differentiation, unique selling propositions and inclusive innovations anchored on the country’s areas of strengths. Philippine Export Development Plan (PEDP) emphasized the need to diversify and expand export markets. On the other hand, service delivery and support system of the government must be properly provided to support the continuity of the macro-economics of the country. Before going globally or penetrating the global scale, there are a lot of factors needed to be considered in order to win in the Global Market. Every country has different cultures and beliefs that may serve as a hindrance in putting up a business. The exporters should know the culture first and the people. They must conduct a study first if the product or services are being accepted and will be patronized without contradicting to their beliefs and culture. The products must be tailored fit depending on the demand of the consumer. It is also very necessary to come up with the branding that will be easier for the consumer to identify. There are a lot of risks to take in expanding the business internationally. The exporter and business people must plan it thoroughly in order to succeed. There is no assurance but all they have to do is to believe to their product and always believe to their own capacity. Filipinos are known for our extravagant talents. We can turn a trash into something extra ordinary and a lot more which allows us to be able to compete worldwide. Sadly, Filipinos are also known to be a good imitator. Below is one of the things we can do so we can really compete with other people all around the globe. *Be New and Innovative- Make sure to offer something new yet, almost everyone can relate. I know it is easier said than done but that’s the only way our product can compete globally. There is no need for us to follow or immitate. We have to create something original and relatable to people. Why should we conform and try to blend in if we can stand out. The best things that Filipino exporters should do to win in the Global Market is that improve their branding, product quality and learn the culture of the country they tend to export to. Also, the need to cope up with existing market demands and have unique selling proposition and inclusive innovation. The need to strategize and study as well as take into consideration the pros and cons. For example, in the documentary I had watched, Starbucks already had a set a name in the market but why did it fail in Australia? Simply because they did not study the country and that Australians loves coffee especially espresso, know their local barista and Starbucks failed in that Part. On the other hand, as Jollibee goes international, in order to fit in the market, they need to fit the country’s taste and style for food. I couldn’t agree more on point number 3 on where you have to learn the culture first of the country where you plan on trading. Its like “ the best way to learn a particular language is to live in the country”. If you try to think of it, sitting down and having someone teaching you French language in school or at home will take you ages in order to be fluent with the language. But having interaction is a different thing. It brings a package, aside from language you can learn the culture, their practices, the places, the market, and the people. Try to live in a country where you plan on trading and venturing business. There you can build relationships and trust and finally build your business. -the best thing Filipino exporters should do is to ask if he is ready to go global and his preparedness for a new business venture. -build a business plan. It will help him identifying the procedures, legal requirements, the costs, and the strategy of exporting. Venture on global marketing to plan, create, position, and promote your products to improve effectiveness, to have strong competitive advantage, to increase consumer awareness, and finally, to increase profit while reducung costs. -identify your potential target market. Do market research. Know your market, current trends, and your competitors. What is good for China may not be good to other countries. Study appropriate approaches for various locations as they are covered with different norms and cultural preferences. -advertise. Attend expo or trade shows. It enables you to sell your products and meet prospect business partners. Make use of the latest technology (internet), as we all know social media is very influencial nowadays. a. Know the products that you are selling. a.1 May it be the quality or price, exporters would need to make sure that the competitiveness of their product is on par or may exceed the expectation from the country in which you are bringing the products unto. One good example are the Chinese products, they focus more in the price than quality, but the availability of their product is so much that it would remove the “rareness” of the products that they are imitating. b.1. It is not new for a business to have strategies, may it be a strategy for the taxation, product, shipment, market and to everything. This is one the factors though that needs to be considered by all businessmen may it be that you are new or an old timer. b.2. Make sure that the strategy is feasible, substantial, reachable and of course possible. New timers and old timers a like would fail if they won’t have a clear strategy. b.3. Know your goal. Each member of the company or business should have a clear goal on why they are selling and what do they want to reach. This way everyone is calibrated and can work as one when it is time to work. The article presented ideas which are essential in taking a company to the global market. It has listed various reasons why a business shall take a higher leap towards success through engaging to the global market. It also has given different issues that a business shall deliberate in order to identify if it is feasible to enter the global economy. In my opinion, the best things that Filipino Exporters shall do to win in the Global Market are studying unique cultures in various target markets in such a way that it shall not violate or offend a certain culture with the packaging, presentation and contents of its product, research for law regulations and customs formalities in order for it to have smooth transactions upon entering the international ports and also during the selling of its products and services, studying and understanding the local language of importing parties especially when the English language is not commonly used in order to clearly address issues and concerns that may arise along the conduct of international business, and researching, studying and analyzing the mode of transportation of its products may it be through sea or air in order to deliver the same quality from its port to international ports. The factors that you need on taking your business globally is to be ready with your expenses, hire best employees that meets your standards,prepare for payments of taxes and rule of legalities,and its culture. With these Filipinos can market thoroughly its products and services. Knowing its diversity or its culture you get to know the scope of its economy, what product to add and cater, or services to offer. Because of this you’re starting improving your sales while you’re becoming innovative by adapting their ways. First, study the culture of the country you would like to deal business with. Does the product or services are acceptable to the culture of the country? Will they embrace it? These questions will help and guide the Filipino exporters in the planning and decision making stage. By understanding their culture deeply, visit the country more often, mingle with the locals, do more research about the country and gradually embrace their culture. Second, going into the global market is very tough. Tough competitions and criticisms are the challenges that the Filipino exporters may face. Criticism in terms of the product quality, handling customer service, prices and the management itself. In order to win in the global market Filipinos should consider the following: improve marketing strategy, conduct a continuous product development, establish research and development team and have a consistent employees training and development. •	To plan, do market research and strategize where the potential location to export goods. •	To have a better understanding of the supply chain process. Filipino exporters must provide a good coordination between sourcing, manufacturing, distribution and customer service in order to meet the customer’s needs and satisfaction. •	To consider the fact of having a business partner to help you to expand globally. For example to collaborate to other international company by being a supplier of its raw materials in producing a product. •	The Cultural Factor- This refers to the beliefs, norms and traditions of a particular place. This factor must be consider as the filipino businessman export his products to a certain country. Every nation has different cultures, what is acceptable here in the Philippines may not be acceptable to other countries. In exporting, you must have to be flexible and to adapt other cultures in order for them to consider your products or goods. •	Language- This is also an important thing in entering global market. An exporter must learn the language of a certain country to penetrate with or to do business with. In order to have an effective communication, being able to speak and understand their language rightly will create a good coordination with both parties. •	Economic environment- Filipino exporter must know the economic status of the country before he will export the goods. If the economy and capital market is stable or not. •	Legal Aspect- As an exporter, you must have the knowledge about the laws, policies, legal rules and regulations of their government or state in order to operate your business in a legal way. Advertisement and promotion must be applied for the business to be known and to let people have an idea what the product is all about. The price should be reasonable without affecting the product’s quality. Price and quality should be balanced. Again, connections is a must. Having them can help you and your business grow. Processing of orders must be fast and reliable as well. Customers always want their ordered product to reach them as soon as possible. Delaying the process and shipment of it might disappoint them and that will lead to bad feedback and will destroy the reputation of the company. While processing and shipping their order on time will satisfy and will make them happy and they will probably order again. They might also recommend your company to others when the service is very good. New customers for you if that is the case. “global exporting” first and foremost starts with the product or services that your company offered. I think the best thing that every Filipino marketers must deal guaranteed products that offers reliability, assurance and exceed customer satisfaction. Moreovers, marketers must endure changes, strong foundation, exploring new sets of customers and set up proficient supplies to meet customers demand. But good thing being a Filipino for us we’re ready and open to new possibilities and changes. Easy to cooperate with others. Here are some of the factors to be considered in doing business globally. Q1. 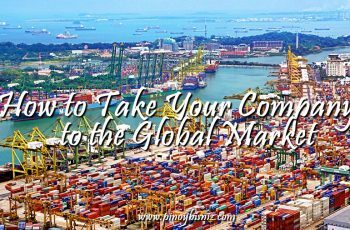 What do you think are the best things that Filipino exporters should do to win in the Global market? A1. Filipino exporters must take heed of their exported products, like Mangoes; Mangoes must undergo quality check procedure to determine that mangoes are in good taste (sweet and firm) and worthy to purchase in order to satisfy foreign consumer. In addition, knowing that Filipino mangoes are classy will surely increase popularity that could lead Filipino businesses to win in the Global Market. Q2. What are the factors that need to be highlighted? A2. Mindset and skill are the most highlighted factors to consider by Filipino exporters which are more relevant to the example as mentioned above. Minset needs to win in the Global Market; the more you learn the faster you become succesful and that will help you develop your skill to provide a good variety of your exported products like again mangoes. The global market is a wide and risky place to do business. You don’t know what the future lies ahead for your business, you might win or lose. There are many things to be considered before entering or venturing into business most especially when you want to do business across the border line of the country. For there’s a big difference between domestic and global business, in the domestic your only competitor is within the country product, while global you compete to all the countries best product and services. Global market might be complicate or more complex to deal with but engaging into global market opens lots of opportunity and diversification. That’s why the best things that the Filipino exporters should do to win the global market is to understand first the culture and norms of the country they want to venture with to penetrate the market and think of the strategy they can apply. Reconfigure the product based on the countries preferences in order to compete their local product and services. And think of how can they market their product or how can the product can catch the attention of the consumer across the border line of the country. Build a good relationship to a country your planning to do business with, and be open to all the changes that might happen along the way. And there are two factors that need to be highlighted in global market the cultural factors and socio economic factors. Cultural factors set the moral, beliefs, norms and laws of the nation or the community that need to consider before anything else in doing business globally. And socio economic status is based on the family income, education and work experience; there capability to purchase the product and avail the services is based on what they earned. . Business competition is very tight just think on how can you standout to the rest. Before going to global market it is necessary to conduct a research for your business ventures. It is necessary to know how can your products and services affect a certain country. It is also important to know the culture and their beliefs, their way of living in order to create an effective marketing strategy. Market research is one way to know your prime target market, and of course to know how can your product and services penetrate the market. Prepare every documents needed especially when exporting your products. Agree of terms and conditions and other financial option when it comes to payments. You have to consider also the pricing of your products internationally whether it is acceptable in the market most especially to the consumers. It is also important to have a consultant , lawyer, accountant and experts in doing business globally that can help you especially in international transactions. 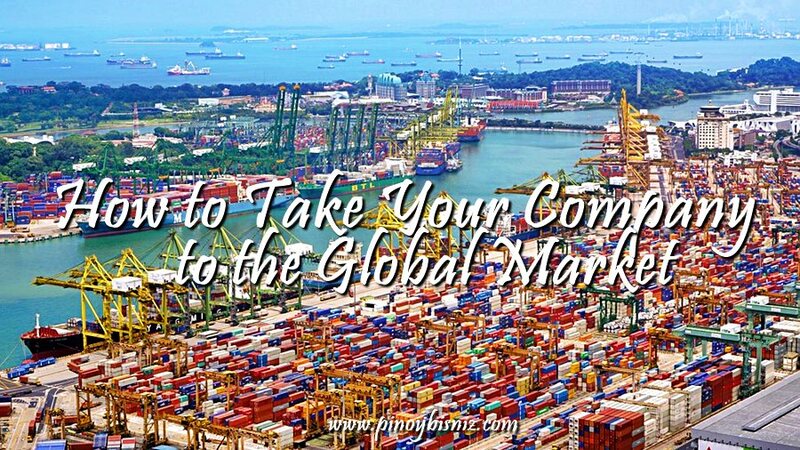 Question: What do you think are the best things that Filipino exporters should do to win in the Global Market? What are the factors that need to be highlighted? Ans. 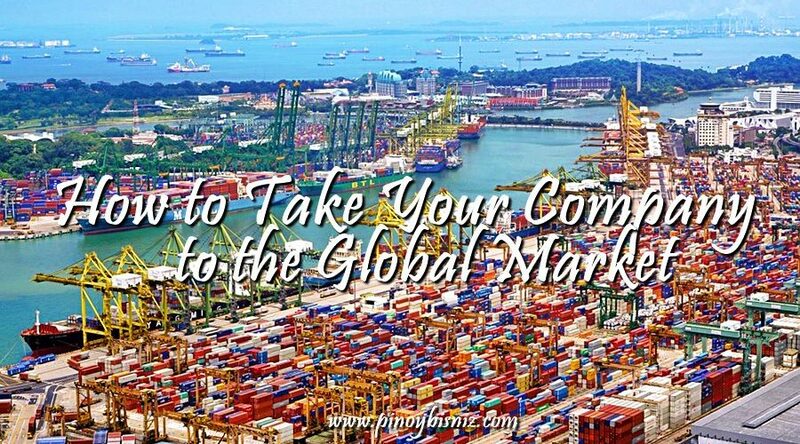 For a company or a Filipino exporter desiring to conduct business in the global Market knowing the local business culture first will help them gain and maintain market leadership. Exporters should seek help in legal and consulting services that is more familiar in understanding the latest trends and developments in the local area that they will be conducting their business with. Other important factors that a company or an exporter should consider in initiating market entry and in maintaining the industry lead is to build strong relationships with local partners, promote business through advertising and attending local trade fairs and seminars. In Global business have a lot of opportunity at the same time is risky. Build a good relationship with your customers, because Filipino has a good quality service and we are very hospitable. Implement transparency to your customers, according to (KEES KAMIES) “Give trust, and you’ll get it double in return” it should be a start of a long relationship between the company and customers. 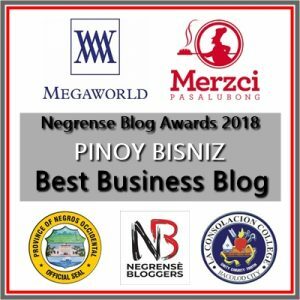 The best things that Filipino exporters should do to win in the global market is for you to have a quality of products and services, to know what is popular to all customers, also have a good place, you also have a unique market strategy. And you have to offer the kind of product or services that is still fresh from the customer and yet something very new to their taste. And the factors to be highlighted is to learn about corporate technology. Indeed, globalization is taking over. Competition nowadays is not anymore limited to the community where you belong or the nation where you operate, competition has reached the global heights. 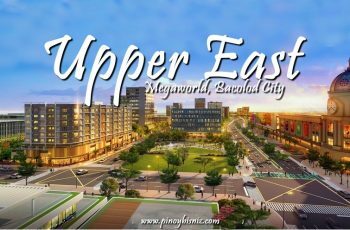 We Filipinos dream to be globally recognized, something that most businessmen, if not all is dreaming and working for. 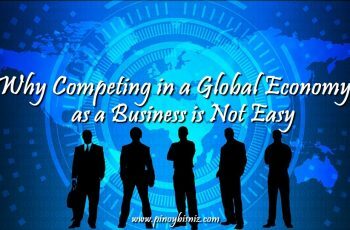 Obviously, going global is not a walk in the park, Filipino exporter needs to go head-to-head with foreign competitors if they want to give their competitors a good challenge in the global business arena. For me, the best things that our Filipino exporter can do to win in the global market is to offer a product that is by nature a need or is necessary in their daily life. It may sound ideal but I believe that if a product is of need with some unique features of course, it has also great potential of making it big in the international set up. Second, Filipino exporter must also adopt and adjust with the culture of its target market. It’s good to be unique, to offer a different product in the global market, but exporter should also take into consideration that culture varies. With that being said, exporter must adopt to the taste and preferences of its target market, putting in mind that marketing is about satisfying the needs and wants of your consumer. The factors that need to be highlighted are the company image, good brand position and of course good marketing and promotional efforts. I believe that if a company has good product image, it will serve as edge especially in gaining target market’s trust and confidence on the product you are offering. Another, having good brand position, which mean being able to create a unique identity in the mind of your target market is also advantageous. People always wanted something new, showing them that you are offering something different may entice product trial. And lastly, have an effective promotional effort. It’s like asking yourself, how will they buy your product if in the first place they are not aware about it. Product awareness may lead to product trial. Filipino exporter needs to be creative and innovative if they want to make it big in the global market, which I know Filipinos already are. Technology related products may seem to be the trend in export nowadays, but I believe that Filipino exporters should find their niche in the global market. Philippines, known as a country rich in agricultural products, should push for exporting mangoes, pineapple, banana, coconut and the like since not so many countries can offer this to the global market. The Philippines can revisit its agricultural resources, and improve them through training and technology advancement. The Filipino exporter should also use to its advantage the free trade agreements we have in other countries to expand in their market globally like in Japan, India, China and Korea. Filipino exporters must know the culture of other countries in order to build business from there. It’s one way of connecting to them seriously. Moreover, they must have a sense of budget of their money for it will help on having good management and good trade.